This is Admiral Kensington. I have a special assignment for you. A Klingon raiding party attacked one of our science stations near the Delta Volanis Cluster. Please assist them in any way you can. A Klingon raiding party attacked a Starfleet research facility near the Delta Volanis Cluster, but left survivors and took nothing. The station is damaged, however, and the staff could use your help to resume normal operations. Be on your guard – this could be a Klingon ruse. Be ready for anything. If things get desperate, one of Starfleet’s top-secret vessels is in the area and can assist if necessary. Get on this as soon as you can – Starfleet Command needs to know what the Klingons are up to out there. 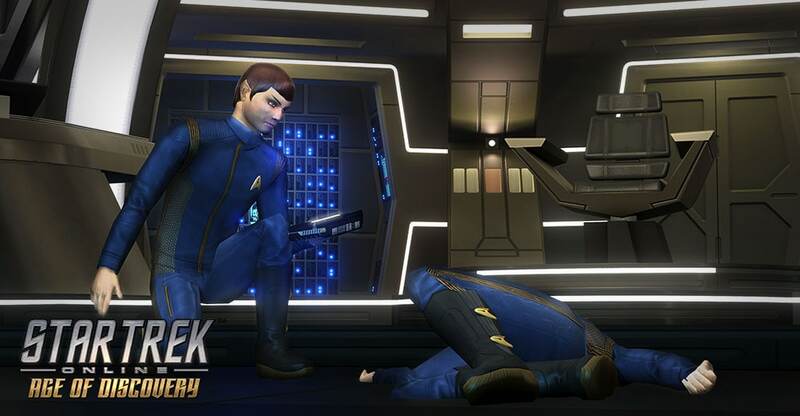 Secrets is the first episode available to Discovery-era Captains after completing the tutorial. It will also be available to 2409 and TOS-era Captains as a historical simulation, in the mission journal after Victory is Life. Go boldly in the Age of Discovery!